William O. Williams is an associate with Hinkhouse Williams Walsh LLP. Will focuses his practice on insurance coverage. In 2014, Will externed for the Honorable Robert E. Senechalle, Jr. in the Chancery Division of the Cook County CIrcuit Court. While in law school, he served as Managing Editor of Lead Articles and contributing writer for the DePaul Business and Commercial Law Journal. 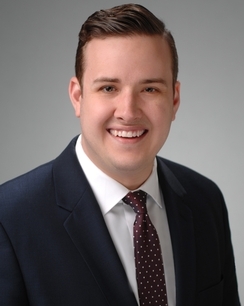 Hinkhouse Williams Walsh LLP is pleased to announce that William O. Williams has joined the firm as an associate.